We review, rate and rank various products, services and topics. Are you searching for a baseball glove for your child? We will examine what you should look for in a new glove, then we will review our top 5 best youth baseball gloves below. First we should define that a youth baseball glove is generally referring to an age of 12 and below although older kids and teens can certainly still use them as well. Many parents think that they should get a stiff, high quality, over-sized glove that their child can grow into and use for many years. However, youngsters will develop better skills with a properly sized glove that is also properly broken in and not stiff. As they grow they will need to get larger sizes to fit them properly. If your child has problems with fielding, or even just the ball popping out while playing catch that often means they have the wrong glove. 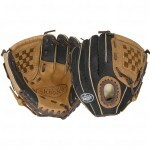 There are usually three problems with baseball gloves – they are too big, too stiff, or poorly made. That is why we recommend getting a pre-broken-in youth glove that is the proper size. You can buy cheaper models over more expensive ones since you will need to buy larger sizes as needed as the child grows. You will see sizes of gloves listed in inches. This refers to the distance from the heel of the glove to the top of the index finger. You can measure your child’s hand size by placing their hand palm side down on a table, then measuring from the top of the longest finger to the bottom of the wrist. Then you should select a glove that is at least 2 inches larger (at most about 4″) than that measurement so it will not be too snug. Youth sizes usually start at 9 inches. Make sure you also pay attention to right-handed or left-handed gloves. Makers will refer to either a right handed thrower baseball glove which means the glove actually fits on the left hand or a left handed thrower that fits on the right hand. Parents should also be wary of positional mitts. Most youth baseball teams below the age of 11 will rotate players through different positions, so they need a glove they can use at any position. Once players get to about 12 or 13 years old they will start focusing on one position. The only exception might be a catcher. A catcher’s mitt will provide extra padding to protect the hand from fastballs and are measured in circumference instead of length. You should also be aware that if you see the term ‘fastpitch’ in a glove’s description that is referring to a softball glove. Those are designed for and should only be used for softball. 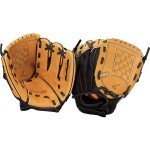 Our pick for the best youth baseball glove is the Mizuno Prospect Youth Ball Glove. It is available in many different sizes with prices ranging from about $25 for a 9″ glove to about $38 for an 11.5″ version. While Mizuno does offer even more expensive models we feel that the Prospect’s quality is excellent and more than enough for children. The best feature of these gloves is the patented PowerClose technology that acts like a hinge in the glove to make catching and holding onto the ball easier. The Easton Z-Flex Series Gloves are another excellent choice that offers outstanding quality at a cheap price. Also available in multiple sizes as low as $20, the Z-Flex has two unique features that stand out. 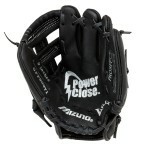 First, they have an exaggerated pocket that is about 40% larger than other youth gloves to help make catching easier. Secondly, they use Z-Flex technology to help squeeze the glove easier. This is accomplished by elastic strips on each side of the palm. 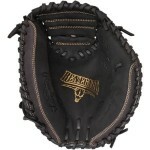 We selected the Rawlings Renegade Series Catchers Mitt as the best youth baseball catchers mitt. Priced from about $44 the Renegade comes in two sizes – 31.5 or 32.5 inches. They come with palm and index finger padding to diminish the ball impact. They are also 80% broken-in already, so it won’t take long for a player to finish breaking it in. Overall this Rawlings catchers mitt is really good quality with a deep pocket that is perfect for youth catchers. The Rawlings Youth Player Preferred Glove is a good all-around performer made from quality oiled leather shells and rawhide laces. Coming in one size of 11″ that is priced under $42 this model is very easy to finish breaking in. At 11-inches this Rawlings glove will fit most children from 8 to 12 years old, so if you really only want to buy one glove that your kid can use for several years then the Youth Player Preferred glove is a good choice. However, it is probably too big for most kids 7 or younger. The Louisville Slugger Genesis Youth Glove is another youth baseball glove that comes in multiple sizes for a cheap price starting at about $25. This Louisville slugger model incorporates buffalo leather in the palm, a mesh back, and velcro strap. They are a bit more rigid than the Mizuno and Easton models which makes them a bit more difficult to squeeze at first, but that also means they will probably last longer as well.